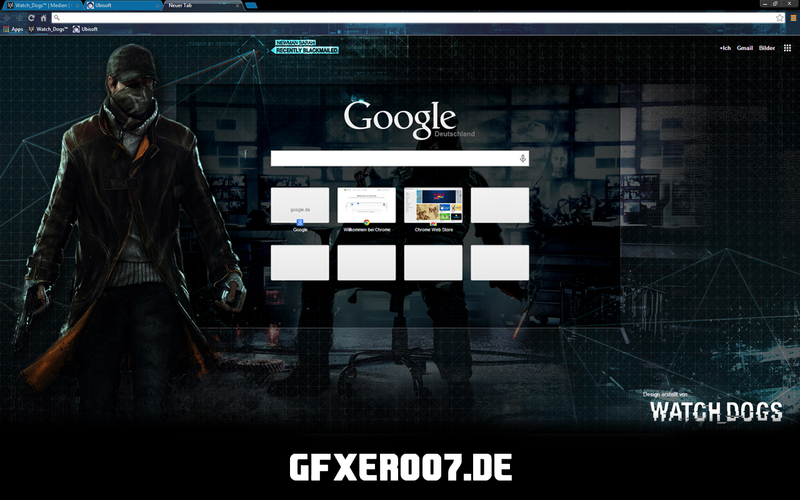 For Watch_Dogs fans, we presents you a great Watch Dogs – Google Chrome Theme! The Theme is made by GFXer007 and his website is reachable on http://calvin.moquete.de. Feel free to also take a look on our other great themes! Any feedback & ideas are appreciated! Download now my Watch Dogs – Google Chrome Theme! This design or creator is not affiliated in any way with Ubisoft. It is just a fan-made theme for fans of the great game Watch_Dogs by Ubisoft for Google Chrome.